Are you Eligible for Relief under the National Mortgage Settlement? The National Mortgage Settlement will offer various forms of relief for distressed families who qualify. As provided by the Center for Responsible Lending, the below is a preliminary guide that offers information for those who may be eligible for relief. The Settlement administrators (designated by participating states*), state attorneys general and the mortgage servicers** involved in the lawsuit will identify homeowners eligible for benefits. 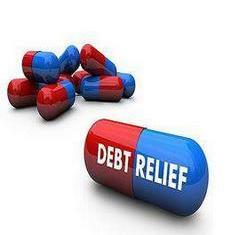 These benefits may include immediate cash payments, loan modifications with mortgage balance reductions, or refinancing. If you are eligible, you should receive a letter from the administrator in your state. All actions resulting from the settlement are scheduled to take place over the next three and a half years. You are behind on your mortgage or at immediate risk of falling behind. For the most up-to-date information, click here. *All states are participating except Oklahoma. **Mortgage servicers are the companies or banks that receive and process mortgage payments and handle other administrative tasks related to home loans. Scenario 1: You have already lost your home to foreclosure. Cash payment of approximately $1,800-$2,000 If you still owe any money on the mortgage because of an outstanding balance after a foreclosure sale, you may have an opportunity to have some or all of that debt forgiven. When you owned the home, you occupied the house as the owner, and the property had no more than four separate units. Your foreclosure sale was completed between Jan. 1, 2008 and Dec. 31, 2011. Your mortgage was serviced or owned by Bank of America, JPMorgan Chase, Citibank, Wells Fargo or Ally Financial (formerly GMAC). If you are eligible for benefits, you should receive a claim form in the mail from the settlement administrator. If you are concerned you will be difficult to locate, you should contact your Attorney General’s Office, and they will forward your information to the appropriate person to ensure you are contacted if you are eligible. Scenario 2: You are current on your loan, but underwater. Eligible underwater borrowers may have an opportunity to refinance loans at lower interest rates. You own and occupy your property, and your property has no more than four separate units. Your mortgage is serviced and owned by one of these banks: Bank of America, JPMorgan Chase, Citibank, Wells Fargo, and Ally Financial (formerly GMAC). Note that Fannie Mae and Freddie Mac-owned loans may be eligible for refinance under a separate program called HARP. To see if your loan is owned by Fannie Mae or Freddie Mac, go here. Your mortgage is underwater—i.e., you owe more on the loan than the current value of the house. You have not made any late mortgage payments within the last 12 months. You have not been through a bankruptcy or foreclosure in the last 24 months. The refinance would reduce your interest rate by ¼ of a percentage point or your monthly payment by at least $100. Your mortgage is not a manufactured home loan, and it is not insured by the Federal Housing Administration (FHA) or the Veterans’ Administration (VA). There are no restrictions on when your mortgage was made – could be any date. The participating banks (BoA, JPMorgan Chase, Citibank, Wells Fargo, and Ally Financial) are required to notify eligible borrowers of the availability of the refinance program, but borrowers may also contact the banks directly for information. The application process has yet to be determined. Scenario 3: You’re late on your mortgage or at imminent risk of missing payments. Loan modification. You may have opportunity to receive a loan modification with a principal write-down (i.e., a reduction in the amount you owe) that would reduce your monthly payments. Forbearance. If you are unemployed, you may have an opportunity to get mortgage payment forbearance (the lender will delay foreclosure and offer a plan for allowing you to catch up on payments). Short sale. You may have the opportunity to have the bank facilitate a short sale (i.e., you would sell your property for less than the amount of the mortgage to avoid a foreclosure). Deed in lieu. You may have an opportunity to proceed with a “deed in lieu of foreclosure” (i.e., you give the lender all legal rights to the property in exchange for its agreement not to pursue foreclosure formally). Relocation assistance. You may be able to get funds to help pay relocation expenses following a foreclosure. Relief from further financial obligations after home sale. You may have an opportunity to receive relief from paying some or all of the amounts that might still be legally owed on the mortgage loan following a foreclosure sale or short sale. Your mortgage is serviced or owned by Bank of America, JPMorgan Chase, Citibank, Wells Fargo or Ally Financial (formerly GMAC). Mortgages owned by Fannie Mae or Freddie Mac are not eligible. To see if your loan is owned by Fannie or Freddie, go here. You may be contacted directly by one of the five participating mortgage servicers, but you should also contact your servicer to request consideration for the range of options that might be available to you. You may want to consult a HUD-certified housing counselor for assistance. Some details of the process are yet to be determined. WHAT ABOUT THE INDEPENDENT FORECLOSURE REVIEW? The Office of the Comptroller of the Currency and the Federal Reserve Board are overseeing an Independent Foreclosure Review. This is a separate effort from the National Mortgage Settlement. This initiative could result in cash payouts to borrowers who suffered financial harm due to improper foreclosures. You may be eligible to receive cash remedies if the Review shows (1) your loan was serviced by one of the banks or companies listed below, and if (2) if you suffered financial harm due to errors, misrepresentations or other deficiencies in the foreclosure process. If you are a candidate for this benefit, you must apply and submit paperwork to participate in the Review. Deadline for submitting a request for review is December 31, 2012. You were in any stage of the foreclosure process on a home that was your primary residence from January 1, 2009 to December 31, 2010. Answers to questions about the process and borrower eligibility are available at (888) 952-9105, Monday through Friday from 8 a.m. to 10 p.m. (ET), and Saturday from 8 a.m. to 5 p.m. (ET). You can also get more information about the review at the website. Click here to see Frequently Asked Questions and Answers. You are currently browsing the Teamwork Program's Blog blog archives for September, 2012.